This is why preventative maintenance is so valuable. By keeping the heating system in good condition, these residential units are ready to use when you need them most. Here are a few reasons why preventative maintenance is valuable, according to Warner Service in Frederick, Maryland. Residential HVAC systems wear after heavy use and time. By performing regular preventative maintenance, you’re able to catch problems before they start. You're also able to ensure any HVAC problems are smaller, less frequent, and less expensive. This helps the systems work when you need them to. Preventative maintenance also eliminates the need for expensive repairs or replacements at the worst possible time, like during the holidays or a Maryland ice storm with subzero temperatures. Another benefit of preventative maintenance is lower energy bills. For example, changing the filter on the heat pump monthly increases airflow. This keeps the HVAC unit from overusing power while on and saves you money. In fact, the cost of preventative maintenance often directly translates to a large amount of savings that exceeds the amount of professional HVAC service. An HVAC maintenance agreement saves you money on energy bills by decreasing energy consumption. If you plan to sell your home in the near future, the homebuyer will likely request a home inspection. An ill-maintained furnace or heat pump is one of the most common reasons a future homeowner backs out of buying a home or requests expensive repairs prior to moving in. On the opposite side, a well-maintained HVAC system adds hundreds to thousands of dollars to the value of your home. It could even increase the selling price of your home depending on the location and market value. Keep the HVAC system running smoothly from the start by performing regular preventative maintenance. What happens if the heating system quits working in the middle of a snowstorm? How would you keep your family warm and comfortable? What if a pipe burst or the basement flooded? 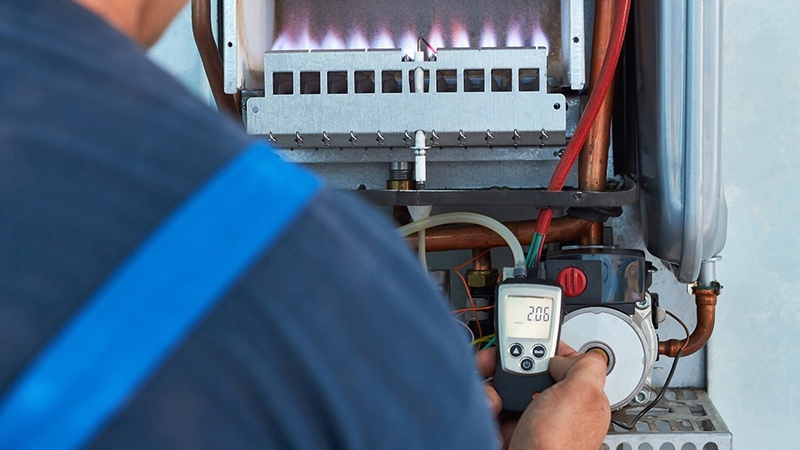 Keep the risk of a heating problem to an absolute minimum with preventative maintenance. It’s an excellent way to protect your family, as the HVAC system runs smoothly throughout the year - not just when you need it the most. Your time is valuable, and there isn’t always enough room in your schedule to perform preventative HVAC maintenance around your home. That’s where our residential maintenance agreements are a big help. You don’t have to learn new skills, purchase extra tools, or spend time completing repairs on your own. Ask for a Warner Service service agreement, and we’ll periodically perform HVAC maintenance in your home. We treat your home as if it were our own, and our maintenance agreements are the most practical way to keep the HVAC system maintained. Have an issue with your home heating system? Interested in our residential service agreements? Contact our Warner Service team today to schedule an appointment or sign up for our maintenance agreements.